All three Seattle area schools who performed in the 23rd Essentially Ellington High School Jazz Band Competition & Festival at Lincoln Center in May were recognized for their performances. 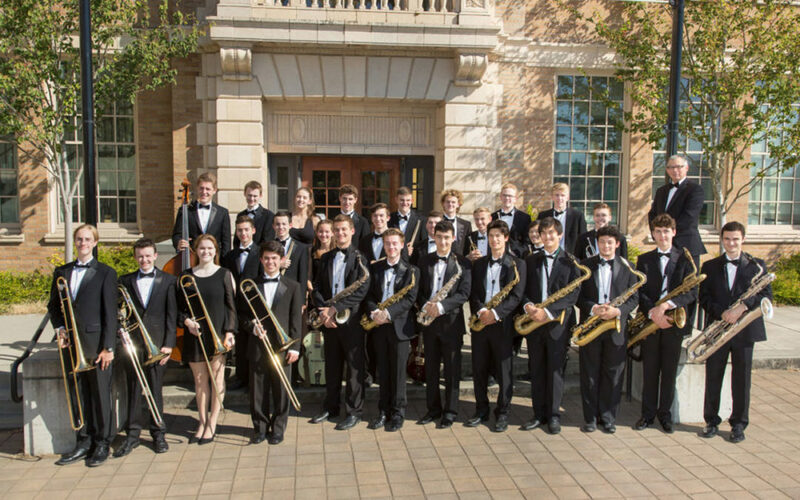 The Roosevelt High School Jazz Band received an honorable mention. In the section awards, Roosevelt High School received an honorable mention for their drummers, and their saxophone section was awarded as outstanding. Also in the section awards, Ballard High School received an outstanding award for both their trombone and trumpet sections, and Mountlake Terrace High School received an outstanding award for their trombone section. Individuals from all three schools were also highly regarded. Aaron Korver (Roosevelt) received an outstanding piano award; Sophie Parsons (Mountlake Terrace) received an honorable mention for bass; Gian Neri (Mountlake Terrace) received an outstanding guitar award; Sean Bowman (Roosevelt) received an honorable mention for alto saxophone, Katie Webster (Ballard) received an outstanding alto saxophone award, Aiden Ryser and Elliot Halpern (Roosevelt) each received an outstanding tenor saxophone award; Xander Johns (Roosevelt) received an outstanding baritone saxophone award; Joe Fotheringham (Ballard) received an honorable mention for trumpet; and Evan Snoey (Ballard) received an outstanding violin award. Congratulations to these local schools for their exacting and spirited performances. Applications are now open for ensemble showcases at the 2019 Chamber Music America conference in New York City, January 17­–20. Ensembles may apply to perform a 20-minute showcase at the conference, which are an opportunity to market their work to an audience of presenters, artist managers, educators, and other colleagues. Professional ensembles that perform early, classical/contemporary, jazz, or world music are encouraged to apply. Applications are due by midnight (EST) on Sunday, June 3. Applications and details are available at chamber-music.org. Join BlueStreet in downtown Seattle for their swingin’ season closer at the Triple Door on Saturday, June 9. Program will feature selections from Nat King Cole, Bessie Smith, Art Blakey and the Jazz Messengers, Blossom Dearie, Sarah Gazarek, and more. Doors open at 6:30pm; music begins at 8pm. Tickets are $25 in advance, $28 at the door, and are available at thetripledoor.net. The Aaron Copland Fund for Music’s 2018 Performance Program grant cycle is now open. The deadline is June 30. All applications must be submitted through the online portal at coplandfund.org/programs/performance-program. The Performance Program was created to support performing and presenting organizations whose artistic excellence encourages and improves public knowledge and appreciation of serious contemporary American music. The Copland Fund supports contemporary classical music and jazz. More information and application available at coplandfund.org. Applications are now open for the Seattle Office of Arts & Culture’s CityArtist Projects, with a deadline of July 11. CityArtist Projects supports the development and presentation of work created by generative Seattle-based individual artists/curators. The 2019 cycle will accept proposals from artists/curators working in dance, music and theater (including scriptwriting). Applicants can request one of the following set amounts: $2,000, $5,000, or $8,000. Awarded artists will need to offer a public presentation in city limits of Seattle. More information and application available at seattle.gov/arts.